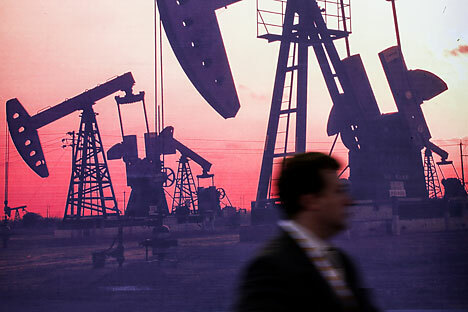 Oil industry experts who spoke at the World Petroleum Conference in Moscow said shale oil offered a viable alternative for Russia, predicting that by 2035 the country could be producing 800,000 barrels daily. Global reserves of oil and gas will last only a few decades, according to a report given by BP analysts at the 21st World Petroleum Conference in Moscow on June 16. However, the experts identified Russia as one of four nations with excellent prospects for developing production of shale oil. Oil remains the main type of fuel in use around the world, but it has been losing ground to other forms of energy for 14 years now. Last year, petroleum accounted for less than 33 percent of energy usage. Foreign analysts calculate that global supplies of the “black gold” will suffice for 53 years, assuming the present rate of production continues, while just under 55 years of natural gas remain. Last year, 12.9 percent of the world's oil was extracted in Russia. By this indicator, our country is only two-tenths of a percentile behind the global production leader, Saudi Arabia. However, once the share of proven reserves is taken into account, the gap in resources is considerably greater. 5.5 percent of the world's most important energy resources are concentrated in the depths of Russia, and that means a faster rate of consumption of those reserves. As before, Russia will continue to cultivate Siberia. According to an assessment by Deputy Prime Minister Arkady Dvorkovich, more than a trillion dollars will be allocated to exploitation and pipeline construction in Eastern Siberia over the next 20 years. Oil and petroleum products will flow in an increasingly eastern direction, with the share of exports to Asia increasing from the current level of 12 percent to 23 percent by 2035. Demand for oil on the European market is on the decline, while China and other countries in the Asia-Pacific region are demanding more and more. However, Europe will remain the primary consumer of Russian oil and gas for the foreseeable future. The task that now stands before oil and gas companies is to implement new technologies. Modern methods can increase the oil recovery coefficient and make it cost effective to exploit difficult-to-extract energy deposits. The Russian government is now deliberating a so-called “tax maneuver” with respect to the oil industry. According to BP Executive Director Robert Dudley, Russia is one of four countries (along with Algeria, China, and Argentina) with bright prospects for shale production. BP's report states that by 2035, South American shale oil production will reach 700,000 barrels per day, while Russia will see 800,000 barrels daily. However, International Energy Agency experts are certain that the “Shale Revolution” in the U.S. cannot be repeated in other countries, and that shale oil will not have a serious impact on the market in the near future. The sharp increase in energy production from shale oil in the U.S. forced Saudi Arabia and Venezuela to turn towards other export markets, particularly in Asia. The U.S. Energy Information Administration earlier stated that the size of Russian shale oil reserves exceeds that of American deposits. The largest deposit of oil shale in Russia is the Bazhenov Suite. Shale oil reserves there are estimated at 1.24 trillion barrels, and experts at The Economist Intelligence Unit believe that the field's daily production could reach 1-2 million barrels per day by the decade's end. The Petroleum Conference is the largest event in the oil and gas industry. The first forum was held in London in 1933. Moscow last hosted the congress in 1971. This year saw the participation of representatives from Arab countries, China, India, and Africa, as well as the heads of multinational companies with headquarters in Western Europe and the U.S. Combined report based on materials from Rossiyskaya Gazeta and RBC Daily.